I am not a politician. I have no political affiliations. I believe Nigeria is a great country with enormous potential. History is replete with illustrations of what happens to the indolent. When our National Heroes fought for the independence we celebrate till today, they could never have envisaged this. I decided to read the National Grazing Reserve Council Bill and I was surprised at what I saw. The Bill creates a Council to be chaired by a Chairman to be appointed by the President. The Council shall have the power to take your land anywhere the land is located in the country and then pay you compensation. Your land, when taken, shall be assigned to herdsmen who shall use your land for grazing purposes. 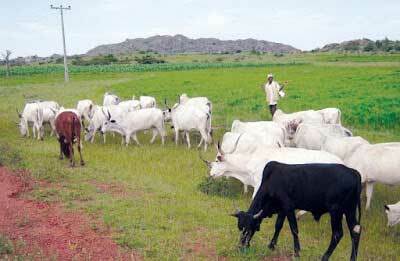 They shall bring cows to the land and you shall lose the land permanently to those Fulani cattlemen. If you feel that the council was not right to take your land, you can go to court but before you go to court, you must first of all notify the Federal Attorney General of your intention to sue the Council. Apart from notifying, you must get the consent and authority of the Federal Attorney General before you can sue. So that means that if the Attorney General refuses to give his consent to the suit, you have lost your land forever to the herdsmen. And this law, when passed, shall apply to the whole country so it means that even your land in the village or anywhere is not safe. The National Grazing Reserve Council would have the power to take away your land from you anytime they want and pay you whatever they want as compensation (even when you don’t want to sell, and remember that for you to get compensation, you must have documents showing or proving ownership). So I think that we all in the South West, South South and South East must rise up and reject this Bill. We must do every thing possible to force our national Assembly members to desist from passing that bill into law. That bill is a deliberate attempt to take our lands and hand the land over to the Fulani cattlemen since it is only the Fulani’s that rear cattle in Nigeria. That law, when passed, shall fulfil the directive of Uthman Dan Fodio and other northern leaders to take over other parts of Nigeria. I implore you to use all available means to implore your senator and Reps not to pass that law. That law will destroy Nigeria. All over the world, ranches are established and used to rear cattle. The farmers buy land and put their cattle there. There is no country where the land of the citizens are compulsorily acquired and given to others. This is evil, and designed to favour the Fulanis where the president comes from. Please share this piece until it goes viral. We must defend our land and protect our children. Source: Dr. Austin MONYE, University of Benin.